I am grateful to receive a solo-exhibit review and very glad to have met Joseph Hazani on opening night, thank you Joseph! 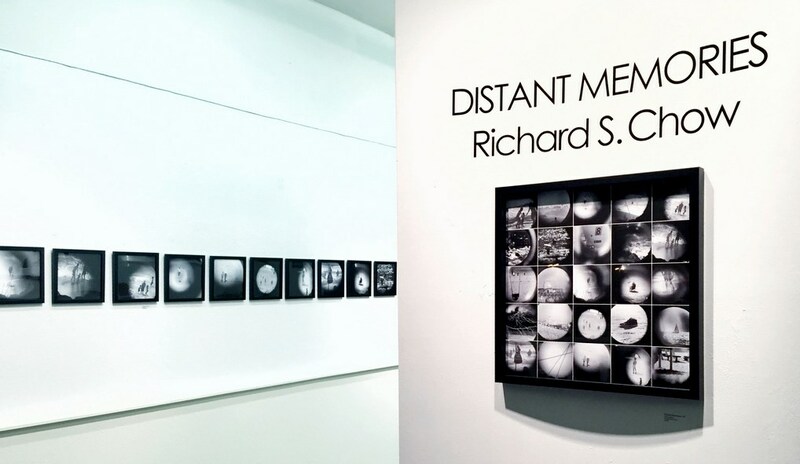 The solo exhibit entitled Distant Memories, the same name as the fine art series, was held at The Gallery Presents (Phantom Gallery) in Hawthorne, California. The exhibit was shown from April to June 2016, and curated by Duce Stein. 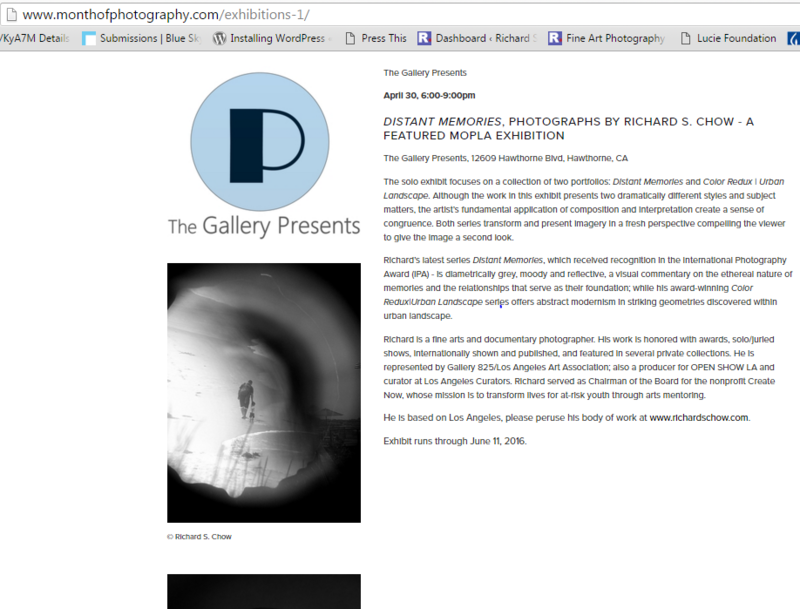 It was also a featured event, by Lucie Foundation’s MOPLA, Month of Photography LA. 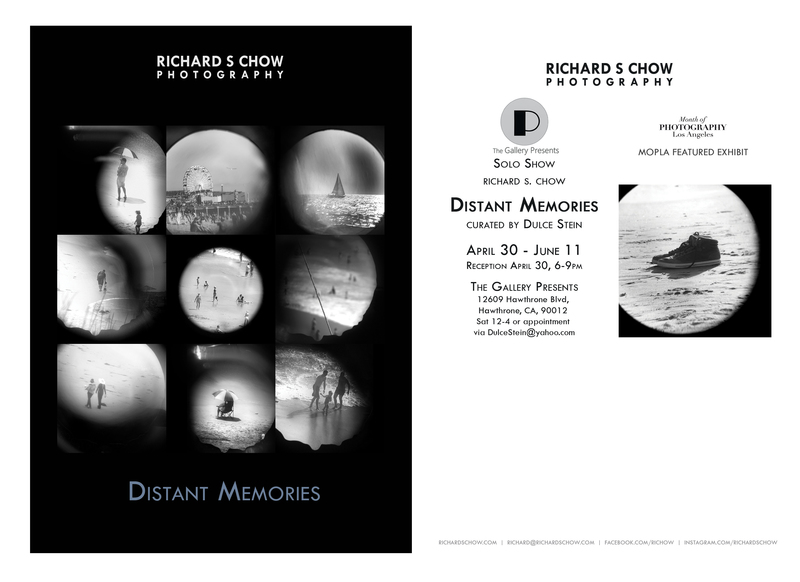 Distant Memories is a completely new and evolutionary ensemble by the award-winning photographer Richard S Chow. 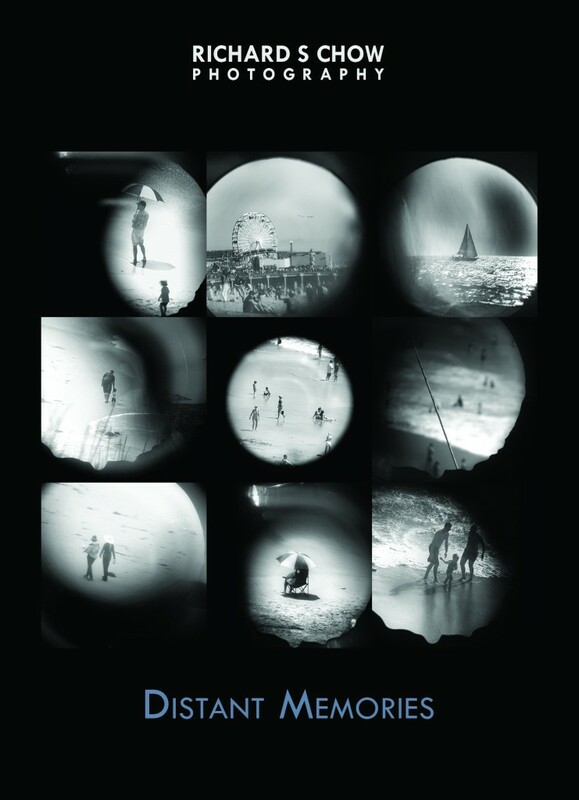 He is known most prominently for his ability to photograph color, whereas here he escapes pigmentation completely, opting for black and white glances at everyday life. The choice to abstain from filling his compositions with color accentuates his evolution of a photographer toward creating compelling narrative within the frames. He, in other words, does not want the viewer to be distracted by the natural visceral beauty which can be accidentally stunning when he snaps his camera. Instead, he wants us to concentrate on the humanity on display. There are probably two dozen or so of these frames that were aligned linearly, as is commonly found in family homes which roll-out the family members and the ancestry of the residents. Here, however, we don’t always see human life and activity; there are still photos of the aspects of such life which nevertheless are a part of our very fabric which go unnoticed – like the air we breathe. And yet, how needed such air is, much like our footwear which Mr. Chow photographs, and how unconcerned we are for this necessity until it is taken away from us. Even something as discomforting as a missing shoe before we leave the house can be infuriating, and yet, why do we not say a prayer every day when our footwear and apparel are exactly where we need them to be? This is the definitive message Mr. Chow wishes his audience to meditate upon: why do we not have more gratitude in our lives? Why do we take for granted as inhabitants of Los Angeles, for instance, being so close to the Pacific Ocean, when there are those who live their entire lives thousands of miles away from it, and will chart an expedition just to touch its waters? Why do we not appreciate more deeply the preciousness of being with our children? Of even the pregnant gestation of life itself? Just because something is ordinary and unexceptional, as is the case of the instances I just mentioned, does not make them meaningless. Indeed, the beauty of drawing out the meaning from mediocrity, as Mr. Chow does here, is to reveal that such goodness can be had so easily and abundantly by everyone with equal standing. These are universal possessions which transcend age, race, class, and gender. And yet many in life neglect their attainment. Many concentrate their focus on negativity. Mr. Chow’s intentional inclusion of the interior view of a camera lens frame in his photographs indicates, much as a director of a film, an intention for the viewer to focus on the good things in life. And these things will always transcend the material medium which snags and weighs so many downward, toward a persistent attitude of ingratitude. Learning to need what one has, and to be grateful for what it gives, leaves a person much healthier than a person in persistently, disappointingly, pursuit of temporary bliss.